When I work with clients during a Reiki session and scan their bodies, I often am often guided to their feet. 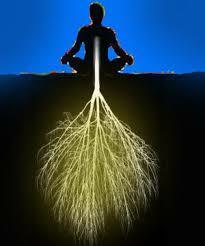 Energy build-up in this area is a sign that they are spending too much time in their head and require grounding. When I share this observation with clients, they will share how unhappy and stressful they are being trapped in their mind and thoughts and will often ask me what can I do to ground myself? The practice of grounding ourselves means just that – getting out of our minds and back into our bodies. It brings us back into the present moment. It allows us to shut off the narrative of worry, fear, and doubt or other negative thoughts in our mind and just “be”. Being present and grounded allows us to find peace and happiness and gratitude in the present moment – instead of being lost in past regrets or fear-based future forecasting. 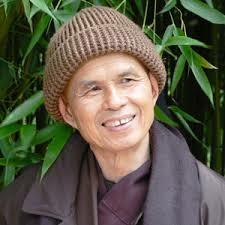 I remember when I saw Buddhist monk Thich Nhat Hanh speak in Vancouver a couple of years ago during his “Open Mind, Open Heart” tour. He used a tree as analogy for the body and mind and to represent the idea of being grounded. 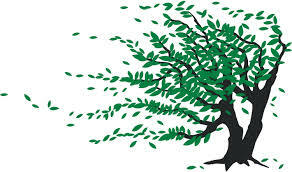 The essence of what he said was that when we are ungrounded and stuck in our head, lost in our mind and emotions, we feel like we are the leaves and branches of the tree getting blown around in a fierce wind. We feel fear, like things are out of control and that we might fly or break off the tree any second. When we ground and connect with our body and are not lost in our mind, we realize we are like the trunk of the tree, safe and solid. When we move into our body, the solid trunk, from our mind, the waving branches and leaves, the fears or sadness in our mind, the feeling of panic and worry are dismissed, because when grounded we can see these are just thoughts we’ve created in our mind. So you can make a conscious choice…do I want to be like the leaves and branches of the tree blowing around, lost in my mind thoughts and emotions, feeling unsafe, unprotected, and lost, or do I want to be the trunk, grounded, safe and solid and present. During my sessions, if I sense a lack of grounding, I will perform Reiki to remove blockages and energies from this part of the body, which helps balance the mind. I also often receive guidance for what is best approach for that particular client to feel grounded. Today I’m going to share some general tips and thoughts on grounding, so you can give them a try and find what works best for you to help you stay grounded and in the present. 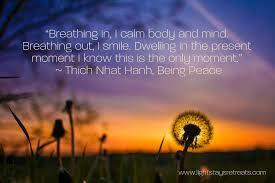 Your breath is a simple and easy way to get you back in your body and to calm your mind. Taking deep “belly” breaths will instantly calm and balance you. Inhale through your nose and notice the sensation of the air traveling through your nose. Let the breath travel all the way down to your belly. When you breath out, audibly exhale and feel the air traveling all the way up from your belly out of your mouth. Repeat ten times. If your mind is overdrive with negative stressful thoughts, you can adopt Thich Nhat Hanh’s approach of saying to yourself “breathing in, I calm body and mind” when you inhale, and “breathing out, I smile dwelling in the present moment” when you exhale. Repeating this mantra distracts and quiets your mind and allows you to focus on your breathing. You can simplify this mantra further and say “I breathe in, and I breathe out” if you like. Mantras are very effective at getting us out of our head and quieting our mind by repeating some simple and positive or neutral phrases. Meditating is a simple way to teach ourselves that we have the power to quiet our mind. Rambling ongoing thoughts creating stress in our life are really just a habit we have formed. We can meditate and bring peace and quiet into our mind. Relax our body. Then we can start to bring the peace we feel during a meditation session, into our everyday lives, little by little, until we reach a state where our mind just isn’t as active and “noisy”. See my previous posts on meditating for more tips on starting a meditation practice. Going for a walk or spending time in nature and focusing on other creatures around you that you share this planet with you helps ground you and feel connected and not isolated, alone, lost or separate. So if you’re on a forest walk, focus on really connecting to each piece of grass, each flower, each plant, each bird, each squirrel you see and pass by on your walk. Acknowledge them like you would a passing person. Don’t worry about naming what you see, just look and absorb, the colours, the textures, the sounds of the wind blowing through the leaves of the trees, the birds chirping. Expand your senses. Be one with nature. If you’re on a beach walk, connect with the birds you see, the rocks and stones on the beach, and the waves themselves as the go in and out. A minute or two after you start your walk, you can stop for a minute and just close your eyes and feel your feet connecting with the earth and say to yourself “I connect with the earth, the sky, and the trees, flowers”..whatever is around you and sense your energy extending in the appropriate direction. Do this again just before the end of your walk. Being connected energetically to the earth and all of the creatures around you isn’t just a concept..it’s real. Immerse yourself in that and try to see if you can sense that energy connection. When we spend time in nature, looking around us, up at the sky, across the ocean, or into the forest, it brings the sense the world is much bigger than the little bubble we live in and it allows us to gain some perspective on our problems and worries. It also brings a feeling of peace and serenity to us. You may read different approaches on items or tools you can incorporate into your life to feel grounded. I personally recommend the use of crystals. They vibrate at the frequency of the earth, so when we wear or hold them, they change our energy vibration and help remove blockages. Hematite or black tourmaline are great crystals for grounding, but you can use whatever feels right for you (don’t get hung up on “rules” for crystals and follow your intuition). Some people recommend eating root vegetables. I personally don’t find this helps for grounding with me, but I do think eating more plants/vegetables in general, which again come from the earth, helps raise your energy levels. If you adopt a vegetarian diet you will feel your energy shift and you will feel lighter. How do I know when I’m grounded? As someone who senses energy, I can tell you the physical sensation of being grounded is exactly what you would think it would feel like. If you close your eyes and tune in, you may feel either energy coming down through your feet or up through your feet. The direction represents whether you need to let go of or release something (energy draining through your feet) or you need to take up something (like love or healing from the the earth). It’s like a magnetic pull through your feet. It can also be the same sensation but coming in or leaving through the top of your head from above. On a mental/emotional level, when you are grounded you feel present and peace in the moment – no matter what you are experiencing. Your mind is quiet and your thoughts are serene and not panicked. Do I need to walk in bare feet in nature in order to feel grounded? feel more palpably “real” for you if you do this. However, I can feel grounding energy coming up or down during sessions in my treatment room, which is located on the third floor of my building. Just ask for grounding energy, close your eyes, and picture your feet being the base of a tree with roots extending downward into the earth. In Vancouver, many of us don’t have homes with yards, but are in condos or apartments, so you can go to your local park and put your feet in the grass and see how it feels, or stand with your back against a big tree and see how it feels..then go home and try just visualizing being a tree with roots as described above. You don’t want to create an obstacle in your mind to grounding..that I need these perfect conditions that are not always readily available to be grounded. You want to be able to ground yourself anywhere, on the bus, in your office, at the gym, whenever you need it. The secret is finding what works best for you in terms of grounding exercises…what works best for your best friend might not resonate with you. So try the above exercises and go with whatever gives you that sensation of feeling grounded and quiets your mind. I routinely see clients who I treat with grounding energy during a Reiki treatment and start to incorporate grounding practices into their daily routines start to shift out of this habit of being lost in negative thoughts and become happier and less stressed. As you open to incorporating some grounding exercises into your daily routine, your mind will start to shift to a more peaceful state as you start to bring awareness to the habit of being in your head too much and bringing yourself into the present moment. You will feel less tired and stressed and enjoy the quiet of your mind. Be positive about whatever efforts you are making and don’t judge how you performed. Just bringing awareness to this issue and trying counts! Being lost in our thoughts is only a habit and no matter how long you’ve “been that way” you can change it.